Debt. The one word which elicits a myriad of emotions. Debt. An enabling yet a blow-in-the-guts instrument. Debt. A long-term binding spiral that can easily get out of control. If you relate to any of the above statements, then you are not alone. Today there is a large number of people who are coming out and voicing how debt makes them feel. 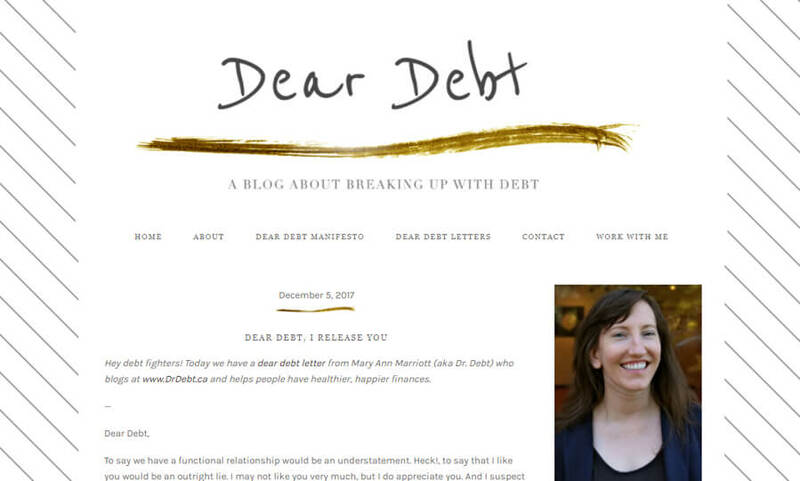 One of the first people to do so was Melanie Lockert through her blog Dear Debt, which is our feature for today. Started in January 2013, taking inspiration from other personal finance blogs, Melanie started blogging to talk about her debt elimination journey. One of the objectives was to build a community, write through her depression to people feeling similar emotions about their debt and create an accountability system for herself to pay down her debt. Was the project successful?Hell, yes! She managed to pay a whopping $81,000 debt on a $30,000 annual salary in 3 months, an year earlier than planned. Consistently awarded as the Plutus best debt blog, Dear Debt is in some ways a category-creating personal finance blog. First off, the website is beautifully designed with a clean white and gold look. When you start reading through Melanie’s posts, you realize that whatever she is saying is leading from the innermost feelings and emotions that she is experiencing. It is definitely an emotional blog, coming from a very transparent person. During her debt elimination journey, Melanie would post a monthly update of how she is faring and what she is doing to close the gap. The candid nature of the posts would make you want to rally around her and support her towards the finish line. Dear Debt is almost a community blog. The main category is a set of posts called “Dear Debt” where people write in to express their feelings towards the debt in their lives. It is a nice tapestry of the emotions people go through in their journey with debt. Having gone through the emotional stress that debt can create and having moved over to the finish line on it, Melanie continues with her purpose of helping debt-ridden people by contributing to reduce the debt of one reader a month (to the tune of $50) with her program Debt Drop. While this one is a sponsored post for a partner, I thought the post titled A Wake up call brought out so many important points. Melanie talks about a health scare where her partner’s father was diagnosed with some serious ulcers. While that thankfully cleared over time, the diagnosis itself took its own sweet time, during which the human tendency of imagining the worst took hold. What they realized was that they were completely in the dark when it came to the financial situation of her partner’s parents. Another challenge was that his partner’s mother depended completely on her husband. 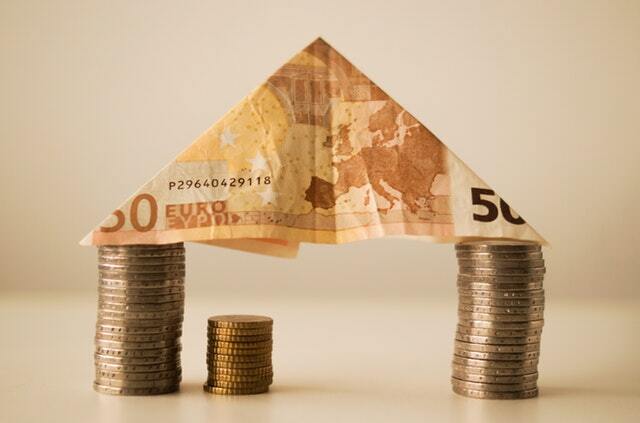 As soon I read it, to me it drove home the point yet again about just how important it is for both spouses to know the scene of the finances of the household. Most importantly, women MUST ensure they know and understand the basics of money so that they can survive in any situation. With each passing day, it is becoming a basic survival skill and the earlier we embrace it, the better it is for us and for the society.